Launching of DHA Multan chapter by DHA is perceived as the biggest thing that has happened to real estate sector of Multan. Multan is a historical city and considered as the metropolitan of south Punjab. 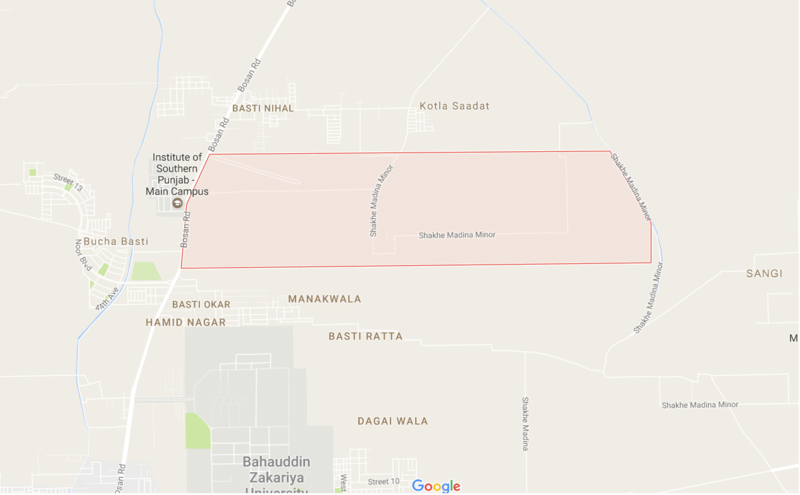 The cotton rich southern Punjab is an ideal location for a first of its kind high end residential society.Multan District is surrounded by the Khanewal to the North and North East, the Vehari to the East and Lodhran to the South. The Chenab River passes on its Western side, across which lies Muzaffargarh. DHA Multan will be a model community that will offer diverse housing portfolio for different classes including elite class, moderate class, while people with low income can also be a part of it. 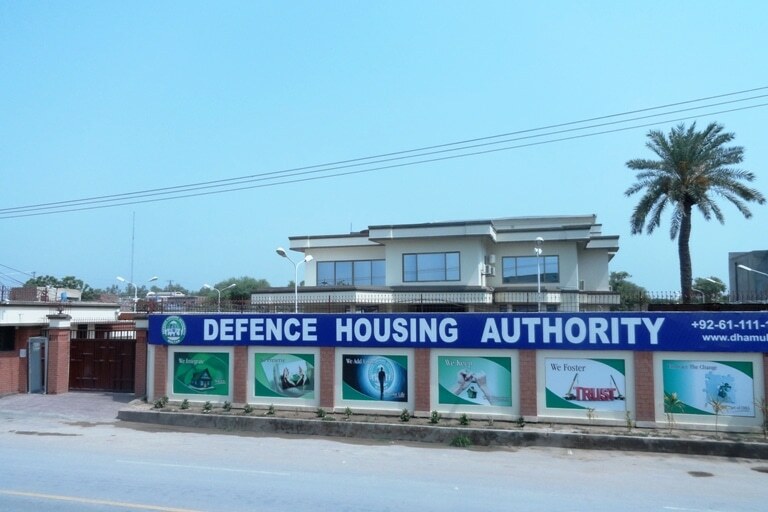 DHA projects provide residencies especially to defence related personals those are fighting for us to provide them with a safe and secure future. Multan is considered an undeclared metropolitan of southern Punjab. In addition DHA Multan is located in one of the most sought out location in Multan. The average prices of Plots in good societies around DHA Multan are above 15 Million. DHA Multan is expected to rise much higher than its competitors in the area. In 5 years time we can safely assume that this File would have converted into a plot with a price above 12 Million minimum. DHA Multan is not a separate authority rather it is a chapter of DHA Lahore and this has been done specially to keep the functioning smooth. 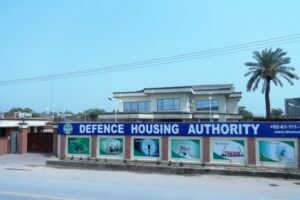 Defence Housing Authority Multan will become a model community with diverse housing portfolio for high, moderate and low income families. 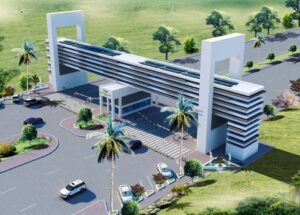 Innovative planning, environmentally compliant, safe and secure, state of the art development and availability of all amenities of life at doorstep will be the hallmark of the Community. It will be a community where everyone will have an immaculate place to live. Develop vacant Government Land or acquire privately owned land in line with the government policies for purpose of designing, developing and implementing facilities, schemes and investment opportunities by creating communities, business centers, theme parks etc. Planning and development of land according to international urban planning guidelines and standards and improving existing recreational, residential and commercial projects. Develop subsidiaries and joint ventures with any other entity for developing more effective business and operational models and to take advantage of any opportunities which may present themselves from time to time. DHA Multan has launched its first Phase in Multan and the prospects look great. The location of DHA Multan is excellent and the prices in the surrounding societies is a witness to that. DHA is expanding itself to other cities and Multan seems to be the perfect city to launch a society with a huge population and being the De-facto capital of south Punjab or the proposed province of Saraikistan consisting of around 6 Crore population. Multan is the most prosperous and happening city in south Punjab and it occupies a central location. Plots in good societies in Multan including Multan Cantt range from 1.2 Crores to 2.5 Crores which makes the file prices ranging from 45 to 48 lacs for one kanal in DHA Multan a very attractive bargain. It is safe to assume that once the balloting is conducted which is expected in 2019, the price of Plots in DHA Multan will increase significantly. All of this is not going to happen over night and the process of DHA Multan files turning into plots, followed by possession and than development. It has already taken almost a decade since it was launched and it may take another before it is a fully functional and thriving society. DHA Multan will therefore remain an area to focus in years to come for investors and genuine home owners who would want to secure a peaceful living in one of the most prestigious society in Pakistan. It is important to mention here that Multan city presently is in need of organized and managed society. 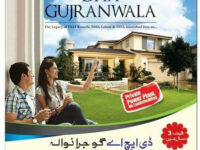 DHA Multan has filled that gap amicably and in future we expect that the plot prices are going to rise significantly. Balloting of DHA Multan files is expected to happen in 2019 and these files will be allocated plot numbers through a computerized ballot. It is hard to assume how quickly and how high the plot prices will go since we do not have the master plan of the society yet, however we can safely assume that in 5 years after balloting, possession would have been handed over and the price of an average plot in DHA Multan may range from 150 to 200 Lacs. 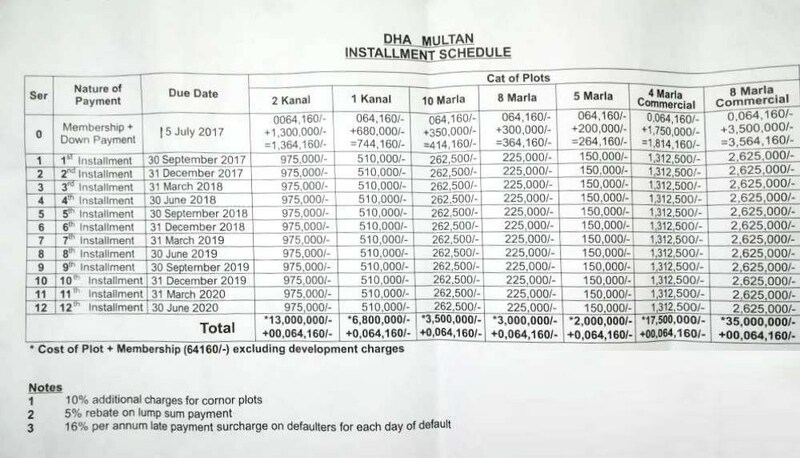 While you will have to pay the development charges which will be around 22 Lacs, it is still safe to assume that you will get atleast a 150 to almost 200 % increase in next 5 years if you invest in DHA Multan. If you are a local resident or living in south Punjab than its best to buy and hold it for long term and sell it after possession or build your own house in future. However if you are not a resident of Multan or any surrounding areas than you should follow any of these strategies. The best time to buy is to either buy DHA Multan Affidavit file or Allocation file plot balloting of Phase 1 DHA Multan and the best time to sell will be in 6 months to 1 year after balloting. This will yield you the maximum profit in a short time period. The second strategy you can adopt is to buy a good location plot after the plot balloting. The best time to buy will vary and largely depend on the prevailing market conditions. Usually it is the time when the market is slow and it is hard to find a buyer. You can take advantage of the situation and buy a good location plot and sell it just before possession or may be a little while after that. Results of all category are uploaded on web page. You can easily find your result of each category after inserting your CNIC Number. System will check it in all categories and let you know. In case you receive invalid message, it is advised to try after some time as system is already processing required number of requests. In some cases successful candidates are asked to forward certain missing documents to “Director Transfer and Records, DHA Multan”. Please forward it without any delay, so that your documents are processed at the earliest. Information letter (English and Urdu). Membership and Undertaking Form (To be returned to DHA Multan after filling details). Last day of down payment, membership charges and miscellaneous charges is 15 July 2017. However, these charges can be paid earlier than 15 Jul 2017 on receipt of documents. For Overseas Candidates, services of reputed firm sought to deliver required documents at your door steps. Please contact DHA Multan if you do not receive documents by 5 July 2017. It is mandatory to write reference number on all copies of Challan form before depositing it in the prescribed banks. Complete ballot results are updated on DHA Multan website including 1 Kanal, 2 Kanal , 10 Marla, 8 Marla, 5 Marla Residential and 4 and 8 Marla commercial plots. As per latest reports the ballot result of DHA Multan will be available online on 5th June 2017 after 11 am. If you are reading this chances are that you have been allocated DHA Multan installment file , follow the procedure below to sell your file. Your installment files can be sold easily on premium to interested buyers and we can help you sell it safely and easily with best premium price. The premium on files will depend on various things and will vary day to day. 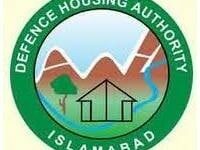 You will shortly receive a letter from DHA Multan regarding the confirmation of your allotment and due date for submission of your first installment and membership fee. This should take some where between 30 to 60 days after ballot. If you do not have the money to pay first installment you can contact us and visit our office with original documents including the DHA Multan letter issued in your name and CNIC and we can assist you to sell it to a potential buyer on profit. Usually the transfers will not be opened by DHA Multan unless you deposit first installment and membership fee,so in case you are unable to deposit the first installment yourself , you will not get as high a premium as those who will be able to do so. This also puts the buyers money at high risk and therefore not advisable in most cases. Contact our sellers agent for further details. Contact our buyers agent whose numbers are given below. The transfers of these files will open in 30 to 60 days, so right now you can book your file from a potential seller but it can not get transferred immediately. You can purchase the file after down payment and membership is paid by seller which is advisable or you can pay the down payment on the sellers behalf but that will put you on higher risk as the seller remains the lawful owner till it is transferred. In both cases sign a legal agreement with the seller and take all original documents from the seller including the DHA letter issued in his favor, bank deposit slips and the copy of CNIC. If you purchase from some one who can not pay the down payment you will have to pay less premium but it puts your money at more risk, so be careful to cover every legal aspect before you conclude the deal. Imlaak will hold no responsibility in case a seller backs out of the deal. After signing the agreement, you will have to wait till the transfers are opened by DHA Multan and than you can get it transferred in your name. Also remember that Purchaser will have to pay transfer fee or any other expenses incurred on the transfer of the said file as the seller will only be responsible to pay his membership fee. DHA Multan balloting will be held on 31 May 2017 “In Sha Allah”. Office timings 31 May only. 0900-1300 Hours. From 31 May to 2 June 2017, no transfer / Allocation activity will take place in DHA Multan. A lot of rumors are in the air about the expected balloting of the plots on Installments. However as per our news source we can confirm that it will be a while before the balloting takes time and may take DHA Multan 1 month to 2 months , therefore we are looking at May or even as far as June for the scheduled balloting. Please Note that the actual launch prices may differ. Remain tuned for more details.